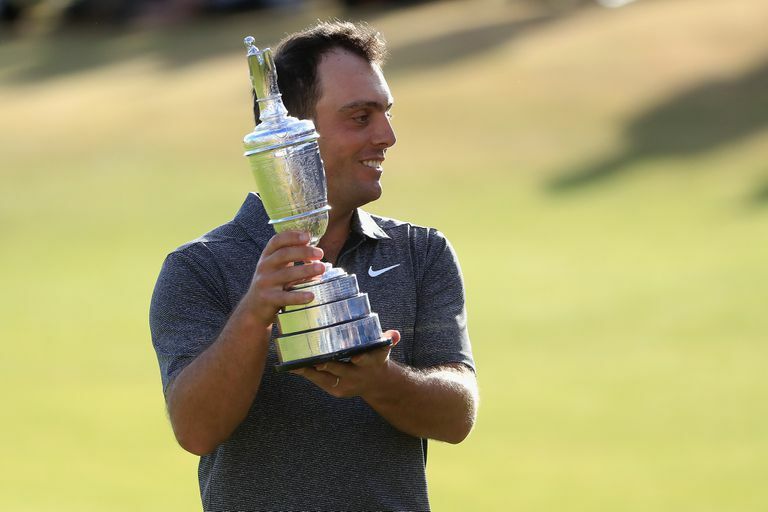 Francesco Molinari with the Claret Jug after winning the 2018 British Open. At the 2018 British Open, Francesco Molinari did something no other Italian golfer had done in this tournament: win. 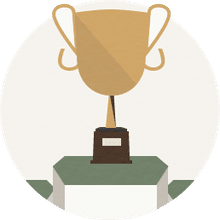 Molinari became not just the first golfer from Italy to win the Open Championship, but the first Italian winner of any of the four majors of men's professional golf. Molinari got into the mix with a 65 in the third round, but the leaders entering the final round were Jordan Spieth and Xander Schauffele at 9-under. Tiger Woods also lurked at 5-under. Spieth and Schauffele both encoundered trouble midway through the front nine of the final round, however. When Woods birdied to reach 7-under, he was alone in the lead—10 years after his most recent win in a major championship. But Woods soon stumbled himself. Meanwhile, Molinari, playing in the same pairing with Woods, kept going, consistent and trouble-free. He finished the tournament on a 37-hole, bogey-free streak. Molinari shot 69 in the final round to finish at 8-under 276. That was two ahead of the runners-up, Justin Rose, Rory McIlroy, Kevin Kisner and Schauffele. Woods finished at 5-under after a final-round, even-par 71. Spieth carded a 5-over 76 in the final round and finished four strokes behind Molinari. This was the eighth time that Carnoustie was the site of the British Open, and the first since 2007. Carnoustie was first used as the Open site in 1931, and the winner was Tommy Armour. Two of the Opens at Carnoustie really stand out. In 1953, Ben Hogan won in his only British Open appearance. That was the year that Hogan won all three major championships in which he played. And in 1999, Paul Lawrie won in a playoff after Jean Van de Velde's epic final-hole collapse. Other years when Carnoustie was the tournament site (with winners in parentheses) were 1937 (Henry Cotton), 1968 (Gary Player), 1975 (Tom Watson) and 2007 (Padraig Harrington). The Carnoustie course record is 64, first achieved in 1994 and most recently recorded by Alexander Noren in the European Tour's 2016 Alfred Dunhill Links Championship.